May I please have an update on the needed repair? Thank you. 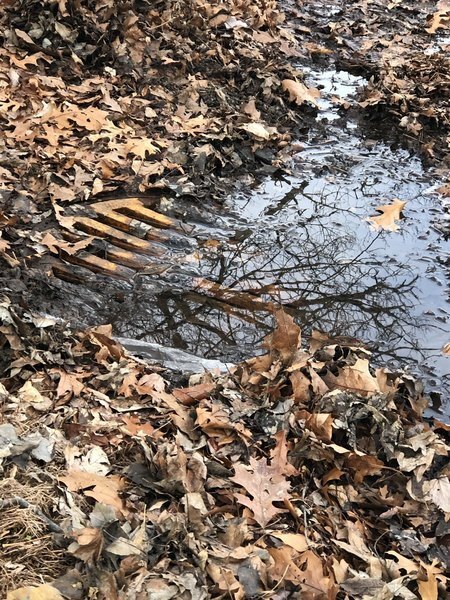 There is only two or three road drains in this neighborhood an there needs to be another one here please and thank you. Water still sitting after another storm an havent been contacted about the issue...wouldnt mind if a whole was dug an stone put in place so it would seep away....can i do it myself an send a bill in? We put our trash barrels out as usual Monday night for a Tuesday pickup and I noticed the recycling bin was empty but the full trash barrel was still there. The trash truck had just gone by and was coming out of Paulette Lane. The truck then also has to come back the other way, again passing my house. We have the appropriate size barrel and it was placed in the same place as it is every week. After I noticed it wasn’t picked up I called the trash and recycling office. I spoke with a man who was told about the situation and he told me they would notify trash pickup immediately. When the trash failed to be picked up again, I called again the same day. I had to leave a message and no one returned my call. I called the next day and again spoke with a man who said we were not on the list for trash problems or violations. Apparently nobody had any knowledge regarding the message I left about the issue the previous day. Furthermore, no sticker was ever placed on the barrel explaining why the trash was not picked up. Of note is that the trash truck had just pulled out of Paulette Lane and traveled in the opposite direction, again passing my house. 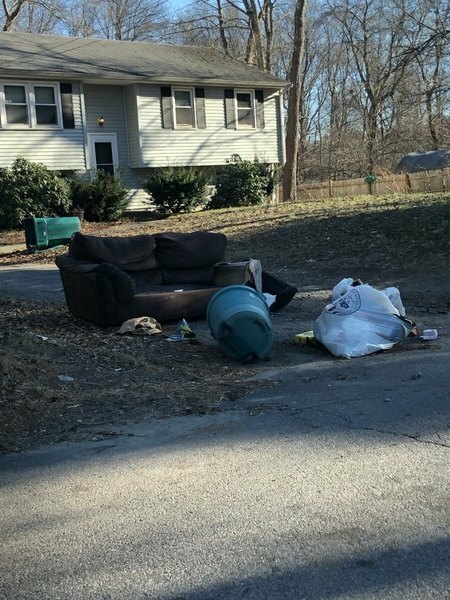 We have now spent $10.00 to purchase Attleboro trash bags to put last weeks trash in because God forbid we put TWO barrels out. We pay for this service and it’s more than irritating to have to haul out the same barrel of trash for three consecutive days. We should NOT have to worry about how we dispose of last weeks trash, which should have been picked up in the first place. There was also a barrel not picked up a few houses down from us that appears to be in the same predicament as we find ourselves in. There should NOT be a need to write to you regarding a city service that we pay for with our utility bill. Your prompt action in this matter is greatly appreciated. Problem was addressed in a timely manner. 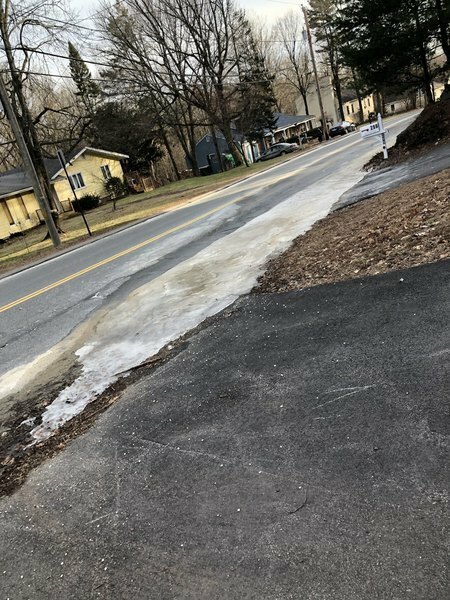 Water is coming out of ground and pooling up and freezing on roadway making driveways and road impassable and extremely dangerous. There is an area about 8’ x 50’ of ice at this point. Must be a leaking water pipe causing issue. This is a Kindergarten bus stop so concern with children slipping/falling under the bus. Attaching pictures of the current situation. Water source and lack of drainage as well as frozen area at bus stop. 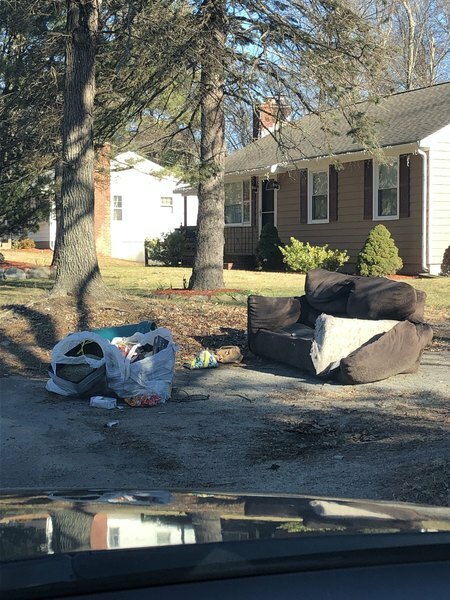 People left all sorts of trash in their yard and trash was never picked up at this location. Thank you for reporting your concern to the City of Attleboro. We have reviewed the information you provided our staff and will be investigating this issue further. The city's staff will provide regular updates here as we work towards resolving this issue. You will be notified via email about our progress. Thank you again for helping us be aware of how we can help improve our community! Thank you for reporting this issue to us. We have reached out to the resident. We will work with the resident on how to get this resolved. Thank you for reporting this issue to us. We have contacted the user and will work with her in resolving her issue. Hello, I Have Not been contacted in reference to this issue? For the second time leaves were not picked up at this address ??? All yard waste on the surrounding streets was picked up but mine.??? Can someone explain to me why. All uncovered barrels with leaves are still in front of the house. My leaf bags were not picked today despite this week being leaf bags pick up week. Thank you for reporting your concern to the City of Attleboro. The yard waste truck is running a day and a half behind. They have added two extra trucks today. The leaves should be picked up by the end of the day. We apologize for the delay. In front of the house on Pike Ave at the corner of Orchard Lane, water pools into the road. It has been freezing and creating very hazardous road conditions on this very narrow and winding road.